Hey, where’s Perry? He’s at Epcot! 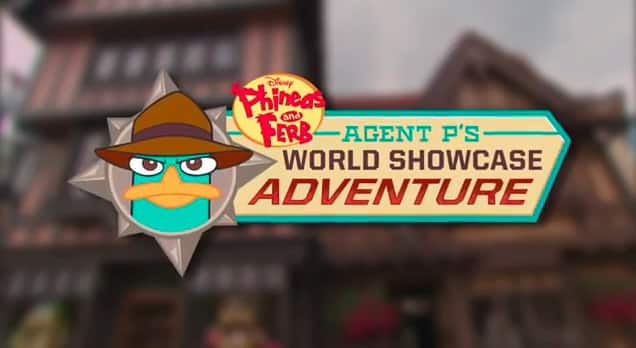 While the new Epcot attraction, Disney Phineas & Ferb: Agent P’s World Showcase Adventure, won’t open until later this summer, three big talents behind the hit Disney Channel and Disney XD animated series got a sneak peek on Wednesday – along with Agent P himself! Dan Povenmire and Jeff “Swampy” Marsh are co-creators of “Phineas and Ferb” and actor Vincent Martella gives voice to Phineas Flynn. The trio toured World Showcase as Walt Disney Imagineering revealed some of the new attraction’s secrets – and then swore them to secrecy. Although Phineas and Ferb greet guests daily at Disney’s Hollywood Studios, Agent P’s World Showcase Adventure is the first time these characters have been part of an attraction at Walt Disney World Resort. In addition to creating “Phineas and Ferb,” you can also hear Dan Povenmire and Jeff “Swampy” Marsh on episodes of the show. Dan writes and performs songs, as well as providing the voice of Dr. Doofenschmirtz. Swampy also writes songs and voices Major Monogram. We’re taking our Phineas & Ferb loving kids for their first ever trip to Walt Disney World from June 14-20. 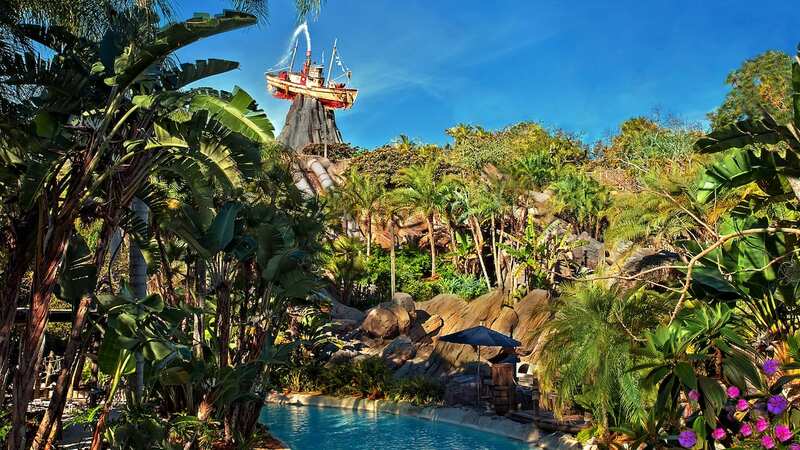 As we’re trying to pick out which park to visit each day of our trip, knowing when this attraction opens would make a REALLY big difference to us in choosing our Epcot Day. I know there’s no official date yet but I’m just desperate to find out so we can plan – it would be a shame to miss it by just days. What’s the very best way to be sure I hear word as soon as the date is set? Does Agent P already greet guests at the Walt Disney Resort or will he be greeting them after his game is opened? When will the Kim Possible game close? We have annual passes and my daughter and I have done Kim Possible a number of times. I am also afraid that the current items have just been renamed and re-storied to fit with a P+F theme. (The singing steins is in KP at the moment, as is the girl chasing someone around the clock.) I’ll probably still do the adventure once to say I have, but am hopeful that it really is new adventures. This looks like a lot of fun. Our grand-daughters did Kim Possible but got really bored with it after about 2 hours and quit. It looks good! I just hope Doofenshmirtz doesn’t use his amnesianator during the game. I’ll want to remember. Every second! Thank you very putting something into Disney that isn’t Princess-related! I have two boys and they love this show. Last year, we missed most of World Showcase because I knew they would not be interested. This year, I’ll get to go shopping at World Showcase while the boys do P & F! Can we be expecting any quest over at DLR it would be so fun to go around DL and DCA looking for stuff like this? Will Kim Possible be down while things are being transformed into Agent P? We’ll be down there June 8 and my kids like both Kim and Perry they just want to have the experience. On a side note (semi-related to my last comment). Is there any chance we’ll see interactive games like these coming to Disneyland California? I’m on the West side of the US so both economically and logistically, we travel to DL much more often than WDW. We love Perry and the boys and we enjoyed Kim Possible when visiting too. I’m hoping that the change over to Agent P incorporates new things and doesn’t just change the storylines and a few details. We’ll be there at the beginning of August 2012. Hope it’s open then. Disney is doing some great new things. Can’t wait for our 2013 visit – it will be just like going for the very first time. Oh I can’t wait! I’ll be there in July. What would be really cool is if there were episodes integrating parts of the attraction. You may use that idea. I’ll be there May 27th-Junes 7th…will it be open by then? We don’t have an opening date to share yet – keep watching!